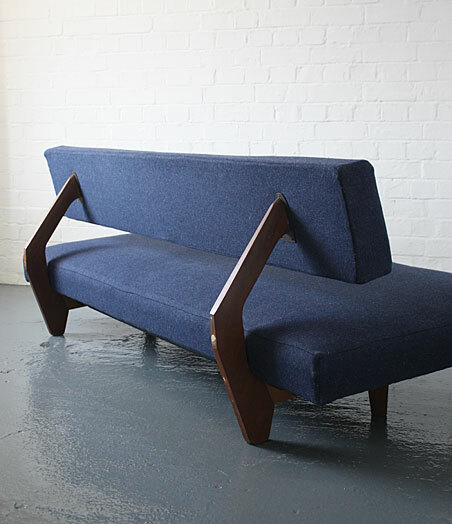 A 1960s sofabed, designer and manufacturer unknown but it is similar to Martin Visser's designs for Spectrum and quite likely to be of Dutch origin. 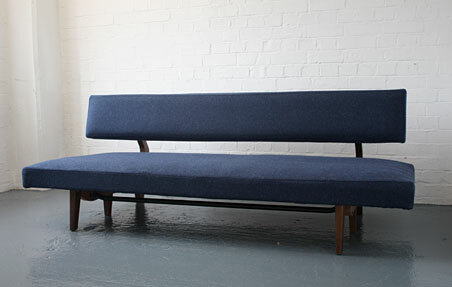 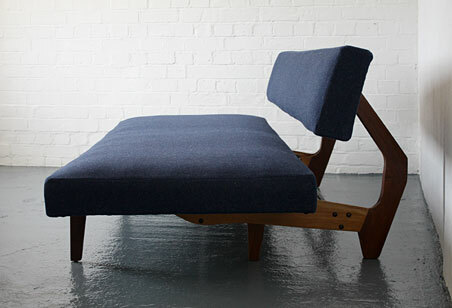 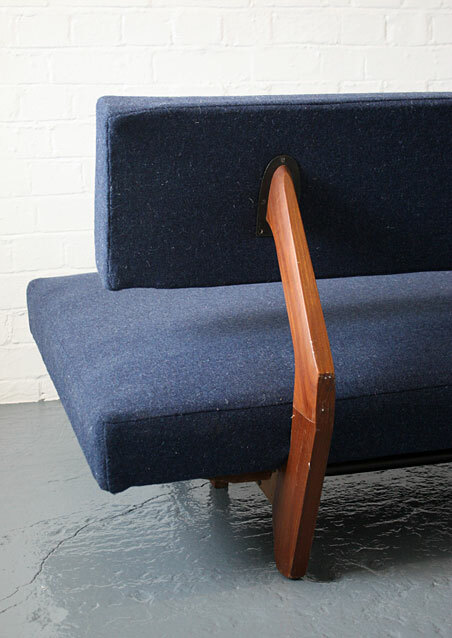 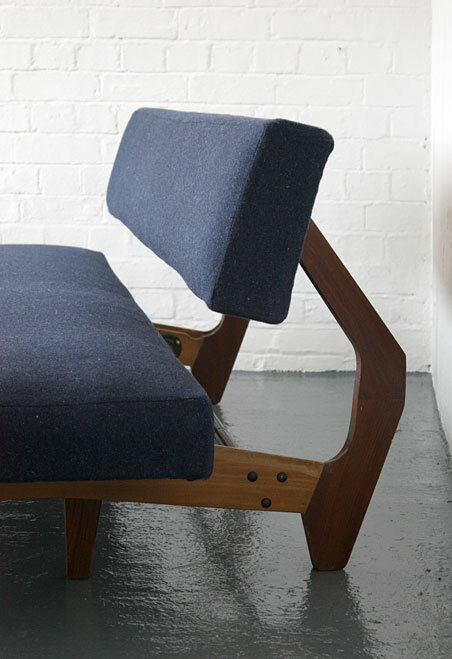 Teak wooden frame with blue wool upholstered backrest and sprung upholstered base. 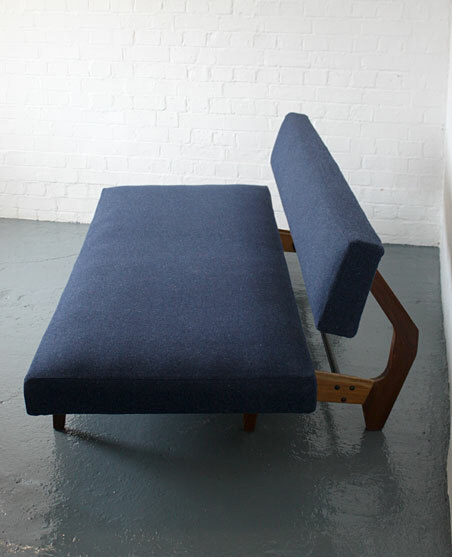 The base pulls out to transform the sofa into a single bed. 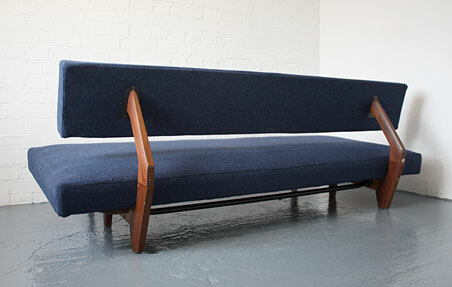 Very comfortable and in excellent condition, the upolstery is clean, the wood has some wear. 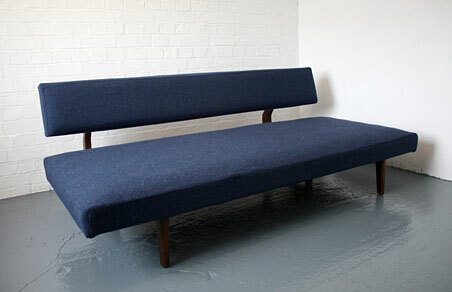 Dimensions: 203cm long x 72cm high x 89cm deep x 36cm seat height. 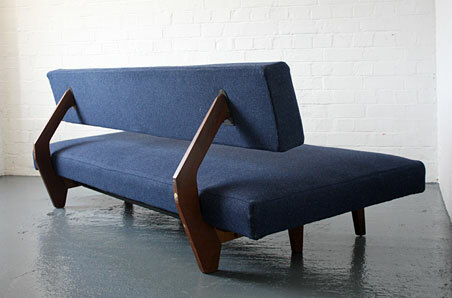 Extended depth is 115cm.